By altering the incline and speed, a treadmill allows you to personalize your workout for your fitness goals. The treadmill is the top-selling and most commonly used piece of fitness equipment in the United States, according to the Sporting Goods Manufacturing Association. The treadmill allows you to completely personalize your workout for your fitness goals by adjusting the incline and speed. Because you can start and stop when you need to, it allows you to workout in a controlled and secure environment. According to Nashville exercise physiologist Kathy Alexander, a treadmill burns more calories than any other cardiovascular machine. The average person burns about 100 calories per mile when walking briskly. According to WebMD, a treadmill offers one of the most efficient challenging workouts, particularly when it comes to calorie-burning. 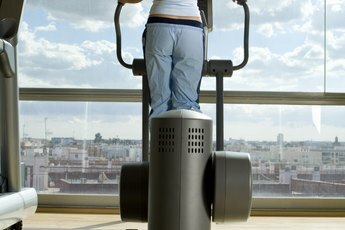 Due to the moving belt, which is often padded, a treadmill can provide a lower-impact workout compared to running outside. 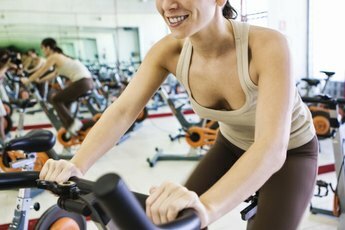 According to WebMD, treadmill intervals are the best workout because they keep your heart rate up. During this workout, you exercise at your maximum intensity level for a period of time followed by an easy, recovery period. With these intervals, start timing once the machine has reached your increased pace. Following a 10-minute warm-up, run three three-minute intervals at a nine out of a 10 on the rate of perceived exertion. Jog for two minutes at an easy pace between each interval. Aim to add another interval every two weeks. 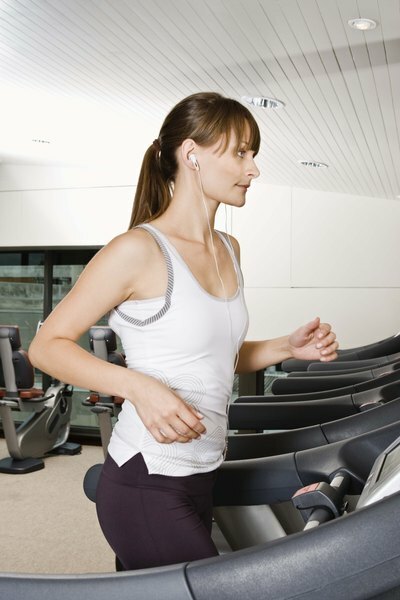 A challenging hill workout is possible on many treadmills that feature a programmable incline. Begin with a 10-minute warmup, then prepare to start running uphill. Do not begin your clock for the hill sets until the treadmill has reached its peak grade and the speed has increased to your desired pace. Increase the incline to 6 percent and the speed to a pace where you are running at an eight out of a scale of 10 on the rate of perceived exertion. Run for 90 seconds. Slow down and recover for one minute with a flat jog. For the next interval, run one minute at the same speed as the previous interval but increase the grade to 7 percent. Follow this with a 2-minute recovery flat jog. Aim to do this entire set four to six times and then slowly add two sets a week. According to the New York Daily News, more than 50,000 exercisers are treated in the emergency room each year due to gym injuries. Treadmills cause more injuries than any other exercise equipment according to the Consumer Product Safety Commission. 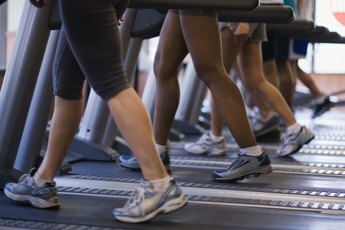 The most common ways exercisers injure themselves on a treadmill is by tripping over, tripping on or falling off the machine. Certified personal trainer Neal Pire explains that most injuries are caused by carelessness, so be aware of your surroundings at all times and follow safety rules.